1475 1475 0% off in Rs. Hair Oil is one of the commonly used oil. It has large demand in the market provided quality is good. Hair oil should stimulate hair growth and prevent the hair loss. It keeps the head cool. It should have good smell and should not corrode the skin. It should be liquid at room temperature, i.e. at 30Â°C. Hair oil basically produced by using coconut oil, castor oil and perfumes. It should be hair stimulant. It should have pleasant odour. It should be in liquid form. It should have good colour. It should stop hair loss and remove dandruff. Uses of Hair Oil : It is used on the head of the human being for message. Manufacturing Process : Hair oil is generally manufactured from castor oil or coconut oil or a mixture of castor oil and coconut oil with pleasant odour and colour. Market:- There is very good market demand for quality hair oil though there is also good competition. If the quality of the oil is not satisfactory the customer requirement, it is difficult to exit for that brand. Market demand for hair oil is gradually increasing by 10% per annum. M/s. Saini Herbs Pvt. Ltd.
M/s. Dey's Medical Stores Ltd.
Bath oil or massage oil is one of the most commonly used oil. This is prepared by cold mixing of different varieties of herbal extract oil. There is almost no necessity of heat for the preparation of bath oil or massage oil. Uniform mixing is the proper way of making quality massage oil. The main ingredients are silybeim marianum ethylester jojoba oil, sandal wood essential oil, yland ylang essential oil, jasmin absolute, palmorsa essential oil, mandarine orange essential oil, peppermint oil, etc. Stainless steel 304 vessels are used for the mixing of oil with agitation. After proper mixing oil is packed in bottle with proper lable. Quality of the oil should be checked before marketing. It is stored in room temp. or in cool conditions. It is used for massaging on the body to keep the body fresh and smooth. It may be used for removing body pain. It is generally uniform liquid. It should have a good flavour and colour. It should not be corrosive. It is neutral in pH. There should not be any free fatty acid. There is fair scope for massage oil or bath oil. The average demand for it goes up by 2-3%. There is no sharp demand-supply gap now. It can be predicted that the quality product with a competitive price can capture some part of the market share. M/s. Balsara Hygiene Products Ltd.
Now a days increase in air pollution causes loss of ozone layer in the atmosphere. Due to loss of azone layer, u.v. rays from the sun reach the earth and penetrate the skin of human body. Penetration of u.v. rays in the skin produces skin cancer. To protect the skin it is necessary to use sun care. Sun care produced from the botanical extract is much more active and helpful for the human bodies. Basically compounds used for the preparation of sun care are glycerol stearate, polyethanol glycol, stearic acid, meadow foam seed oil, deionized water, glycerin, arbutin extract, mulberry extract, titanium dioxide, fragrance, B.H.T., etc. It is produce in the form of lotion or ointment. It will be neutrol in action towards skin. It has good flavour. 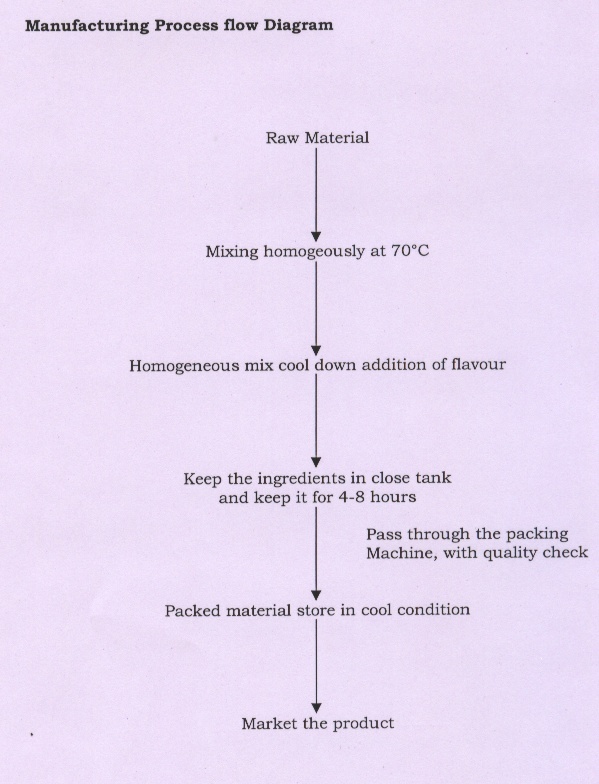 Flavour is produced according to flavouring agent used. A different kind of flavouring agent is now available. 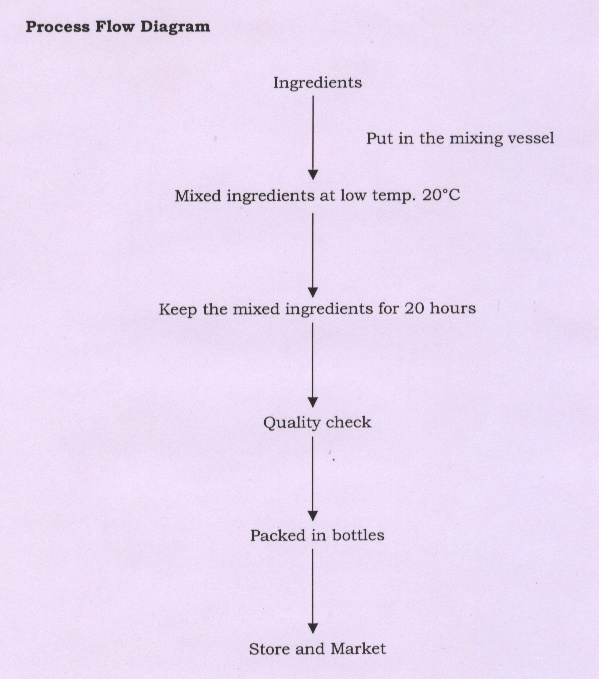 For manufacturing of sun care lotion a stainless steel vessel with heating arrangement and agitator is used. For proper material taking it is necessary to use a balance. For storing the lotion, it is necessary to use a balance. For storing the lotion, it is necessary to put the lotion or ointment in the proper packaging machine. Keep the pack material for long time, store and market. It inhibits tyrosinase and other intermediates. It screens UVB and UVA light. It is solid emulsion in water and glycerol. It is non-corrosive and non-irritant. It is about neutral in Ph. In the near future sun burning cases will be increased due to increase in air pollution. To protect from sun burning it is essentially required to use sun care lotion. It can be predicted that there would be increase in market demand by about 10% due to increase in population and air pollution. M/s. Balsara Hygiene Product Ltd.